The University of Melbourne’s enduring commitment to public contribution has seen its engagement with society evolve over the generations. Since its founding in 1853, the University has held engagement as central to its values and purpose, ensuring that its ethos as a public spirited institution finds expression through all of its endeavours. 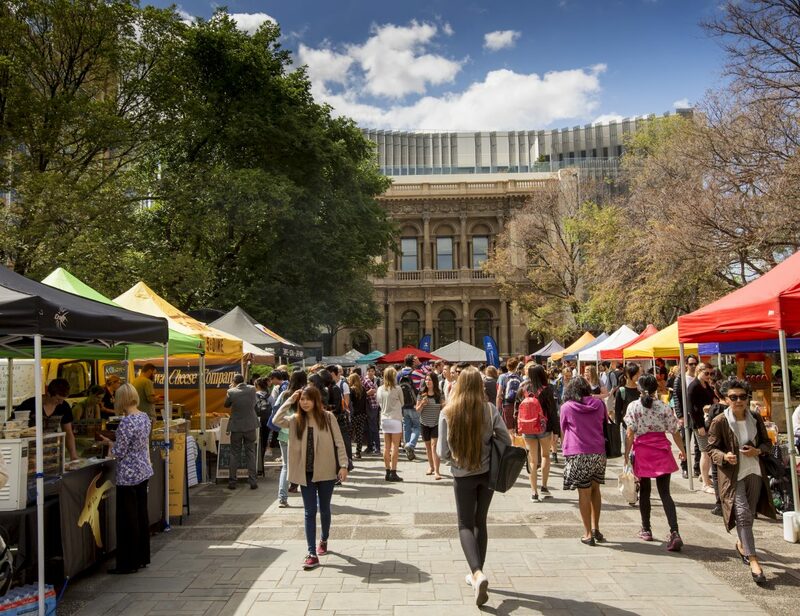 Engagement at the University of Melbourne encompasses the mutually beneficial relationships the institution has with wider society. It connects our learning and research work with communities – locally, nationally and globally – helping us to achieve academic aspirations and create economic, social and cultural value. Public value: A commitment to public value underpins our academic mission, shapes our operating practices, and guides our contributions to intellectual, cultural, social and economic life. Engaged students: A University of Melbourne education prepares graduates for lives of professional contribution and leadership. Engaged research: As a comprehensive, research-intensive and globally engaged university, the University of Melbourne shares advances that shape the world. In partnership with Science Gallery International, the University will open Science Gallery Melbourne in 2018. Aimed at 15–25 year olds, it will be an innovative venue highlighting the collision between art and science and is intended to increase public understanding and access to high quality exhibitions and programs. The University has formal partnerships with a number of Indigenous communities around Australia. These partnerships, drawing extensively on our research capability, seek to lead and inform Indigenous policy conversation; improve health, economic and social outcomes for Indigenous communities; and ensure conservation and communication of Indigenous culture, knowledge and values. As Australia’s largest research institution, the University undertakes outstanding research that benefits the wider community. The Hallmark Research Initiatives identify areas of research that are a priority for the University and the communities they benefit. Each Initiative has a distinct interdisciplinary emphasis and also aims to promote collaboration with our external partners. The Melbourne Engagement Grants program provides University staff with seed funding for initiatives that further the University’s engagement priorities. The grants are offered across a range of categories, allowing both academic and professional staff to be involved. Excellence in engagement practice is also acknowledged and celebrated via the Melbourne Engagement Excellence Awards. The Awards recognise the achievements of staff advancing the University’s engagement commitments.